I honestly can't believe I haven't updated this blog since the beginning of December. I'm so lazy, it's a wonder I don't just microwave my bacon in the morning. It took Matthew Stroul from Austin, TX to kick me into gear when he sent me pics of his new tattoo. 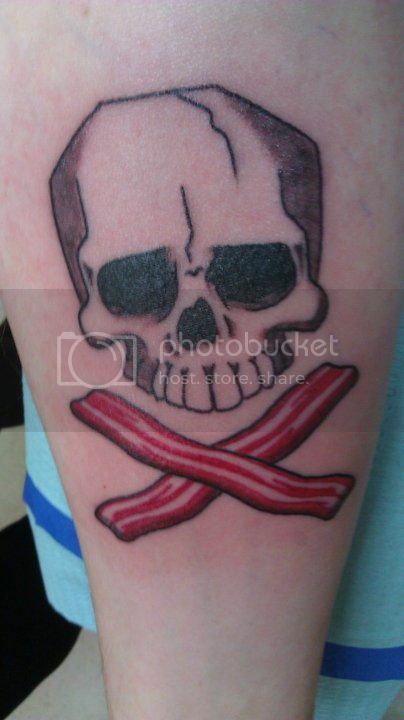 His new SKULLS & BACON tattoo! How awesome, right? I love it. Now if I ever decide to get one I'll just be an imitator, Matthew is the original. 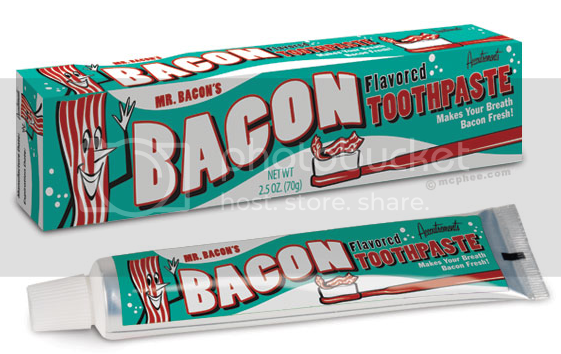 While I'm here, I can't not post about Archie McPhee's new, amazing bacony wonder - Bacon Toothpaste! 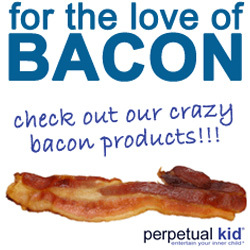 They say it's the perfect way to keep your teeth and gums healthy while coating your mouth with the delicious flavor of smoky meat. 2.5 oz of potent paste for only $4.50, but they do have a video warning bacon-lovers not to eat the toothpaste, no matter how enticing that idea may be. That's it for now. Hopefully someone is still reading this blog after my self-indulgent hiatis. I am passionate about skulls! Periods of silence will happen to the best of us! Cool tat!